The Lamborghini Aventador, the latest flagship model from the Italian automaker. With its 690hp v12 motor, and aggressive styling, the Aventador was built to impress. 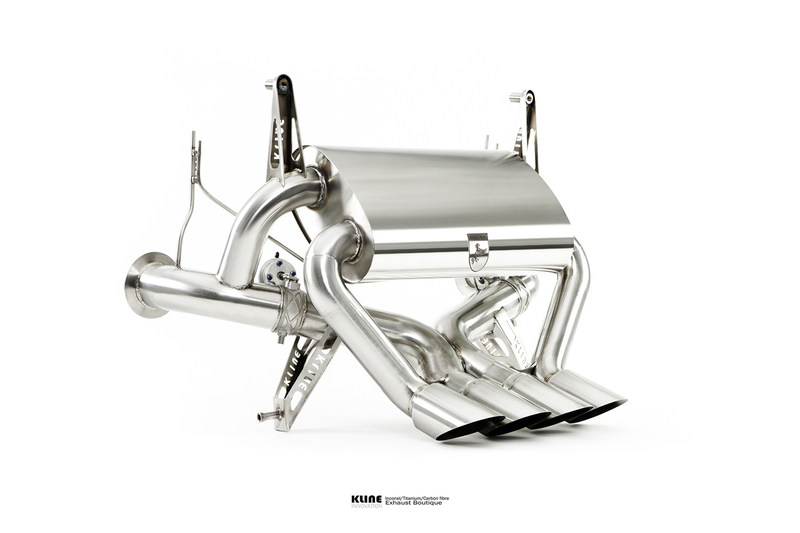 Here at Kline we decided to design and build the ultimate Aventador exhaust system. 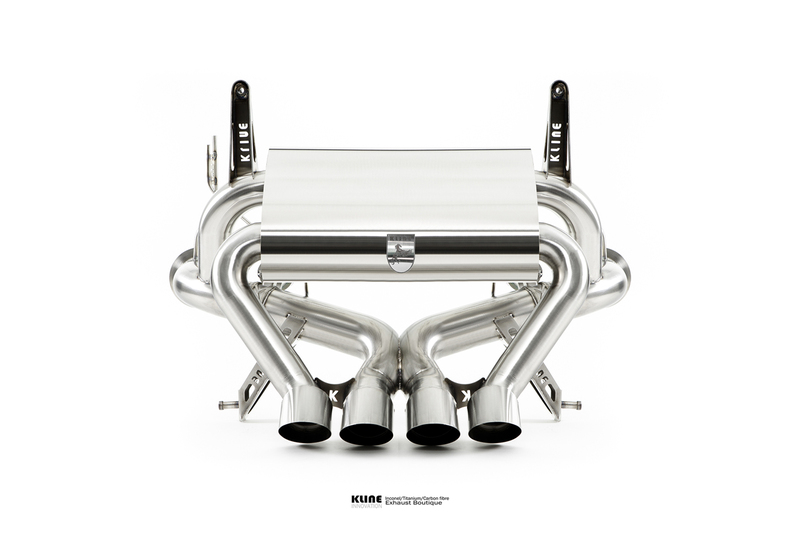 Sculpted from ultra lightweight Inconel 625, the design brief was simple, unrivaled sound performance, and lightness. 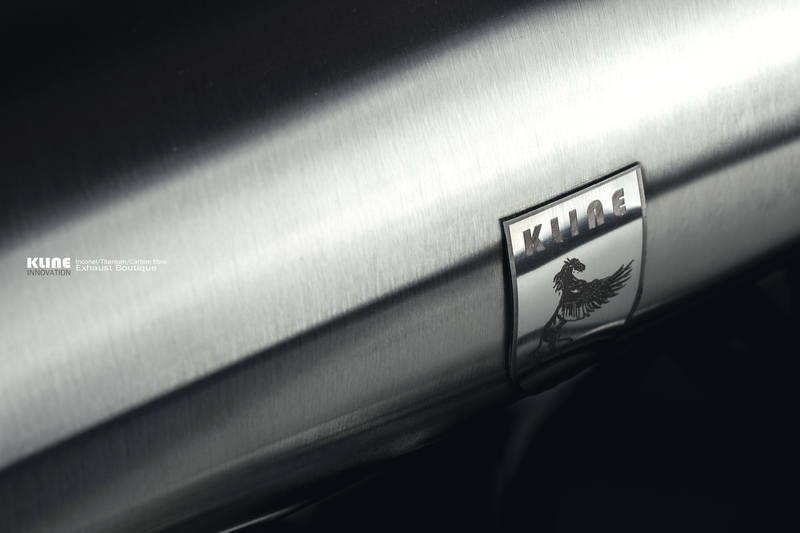 Here at Kline, we felt that the factory Aventador exhaust was not special enough, it does not live up to the raw nature of the supercar. The basic Kline sound requirement was to create something that would truly scream at high revs, while being almost stock quiet at cruising speeds. 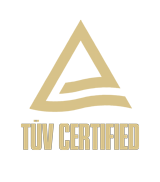 Under valve closure, the exhaust gasses are diverted through a series of chambers and acoustic sections to completely remove any drone. 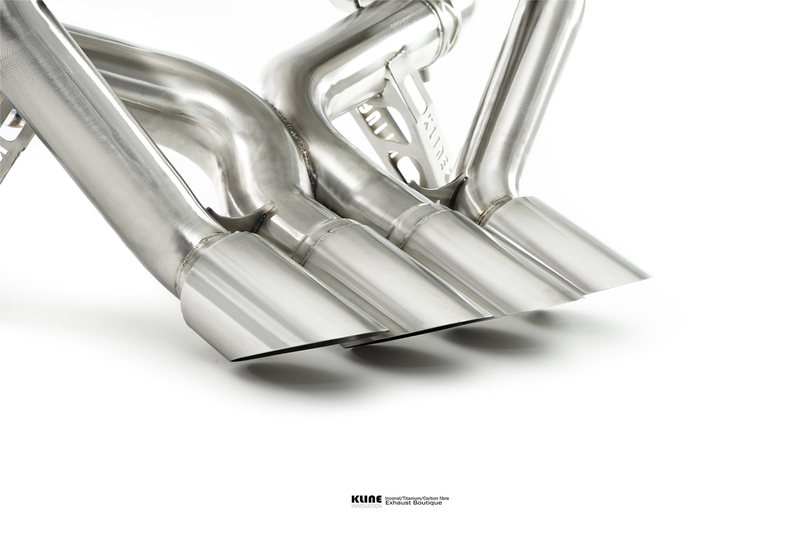 At valve open, the exhaust becomes completely free flow for optimum performance and sound, the gasses only passing through our trademark tight radius x pipe, to effectively raise the pitch of the exhaust note. The exhaust note on valve open is seriously incendiary; the x pipe raises the pitch of the exhaust note into a raucous aggressive vocal for that "demon screaming" sound! 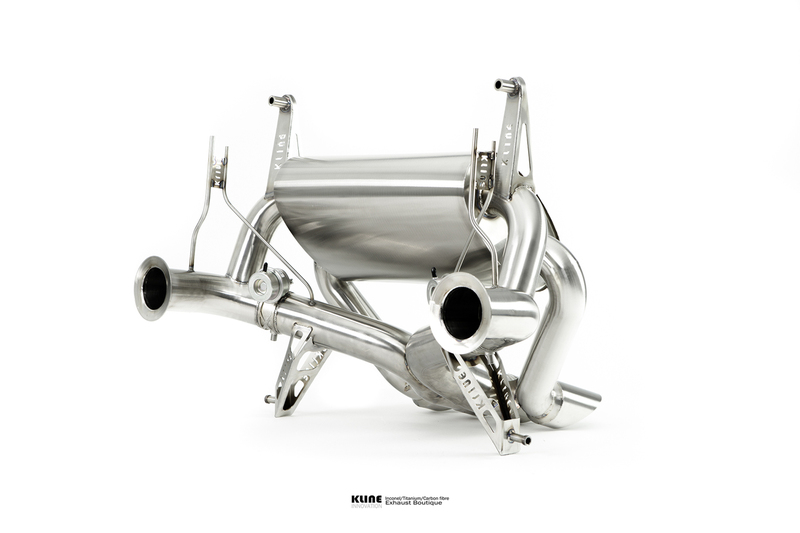 Downpipes, center and rear, 70mm OD. Chosen specifically for a balance of power and torque.